SSLPrivateProxy is a service provider from Seychelles which offers proxy and VPN solutions to its customers. Established in 2012, the company has seen tremendous growth ever since its inception and it now servers thousands of customers from all over the world. This SSLPrivateProxy VPN Review will focus on SSLPrivateProxy’s VPN solution and review its features. 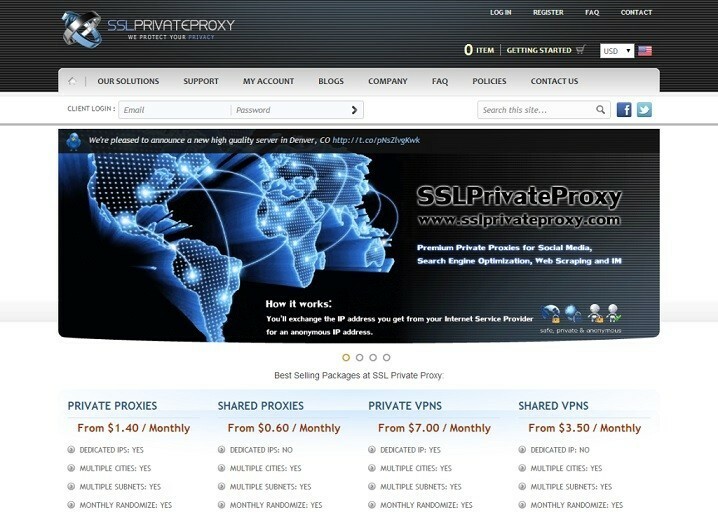 SSLPrivateProxy has VPN servers in 19 major cities of United States (including Chicago, Seattle, Dallas, New York, Denver, Miami, San Jose and Los Angeles among others). Currently, the company does not have VPN servers outside America but it plans to expand its VPN network in the coming months. The service is tailor made for US expats and tourists as well as citizens from other countries who wish to access premium US content from outside America. With your subscription, you would be able to access Netflix, CBS, ABC Player, Pandora, USA Network, Amazon Prime, MLB, Xfinity, HBO Go, Hulu, FOX, CWTV, Vudu, TNT, MTV, NBC, NHL and Vevo regardless of your current location. 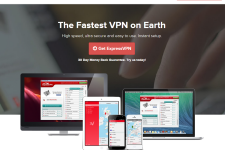 Additionally, if you want to bypass ISP and institution level censorship and access sites like Facebook, Gmail, Twitter, YouTube, Viber, Skype, GTalk and Blogger from China, Middle East, Latin America or from your office/school, SSLPrivateProxy VPN would be a good choice for you. SSLPrivateProxy delivers unlimited speeds and bandwidth to its proxy and VPN customers. The company guarantees 99.99% uptime through its server network which is connected to 1 GBPS ports. The high speed and bandwidth availability ensures that you would be able to watch streaming videos in High Definition, download lots of big files, use VOIP services and play online games without experiencing any slowdowns or hitting monthly limits. Customers of dedicated IP VPN plans can also use the service for torrenting activities. SSLPrivateProxy delivers its service through the PPTP protocol and encrypts data with 128 bit encryption. While there is no denying that the PPTP protocol is not as secures as the L2TP and OpenVPN protocols, it is a lot faster and is compatible with most operating systems and devices. The service makes it easy to secure passwords, IP addresses, financial transactions, bank and PayPal login information as well as ecommerce sessions while using Wi-Fi networks at public places (malls, book shops, public parks, hotels and airports) and even protects all applications that connect to the internet with just one configuration. The company logs connection details like IP addresses, timestamp and connection duration for troubleshooting and maintenance. The logs are deleted at regular intervals and the personal details of customers are not handed over to anyone unless there is a criminal activity involved. SSLPrivateProxy VPN works with Windows, Mac OS X, Linux, iPads, iPhones and Android. Since the company does not have its own client, the configuration needs to be done manually. 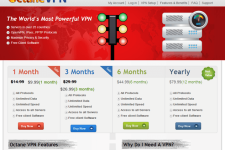 The company offers both shared and dedicated IP VPN plans to the customers. The company offers email and ticket based customer support. The support staff can even offer remote assistance to the customers who are not able to set up the service or troubleshoot errors on their own. SSLPrivateProxy’s dedicated IP (Private VPN) plans are available from $7 per month for a single dedicated IP. In case you need dedicated IPs from multiple cities, you can buy 5 dedicated IPs for $30 per month or 10 dedicated IPs from $50 per month. The company’s shared IP plans (Shared VPN) are available from $3.5 per month for a single shared IP, $15 per month for 5 shared IPs (from different cities) and $25 per month for 10 shared IPs (again from different cities). The company does not offer free trials but if you are not happy with the service for any reason, you can claim your refund within 3 days of signing up. 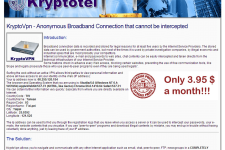 SSLPrivateProxy delivers extremely fast VPN service through its network. Among its drawbacks, the service does not have VPN servers outside USA plus it logs IP addresses for few days. We recommend that you subscribe to the service if you are looking for a really fast VPN service or if you need access to American content from outside USA. For more information, please visit: sslprivateproxy.com. 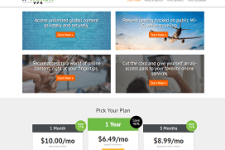 MetroPipe VPN Review – Is The Service Worth Subscribing?